Overcast skies and windy. High 58F. Winds NNW at 20 to 30 mph. Higher wind gusts possible.. Partly cloudy skies. Low near 40F. Winds N at 15 to 25 mph. After a slow, cold start to spring, it’s time to plant. Iowa Farmer Today checks in with farmers throughout the state for an update on soil conditions and planting progress. WOODBINE, Iowa — Conditions were ideal April 27 when Larry Barry started planting corn. But, with heavy rain in the forecast and on the advice of his agronomist, the West Central Iowa farmer stopped planting a day shy of being done. He said May 3 his area had 1.4 inches of rain May 1, with more falling that morning. Barry estimated about half of the farmers near this Harrison County community are done planting corn, and some have started planting soybeans in the hills. “We’ve had a lot of guys finishing up early this week,” he said. Barry said soil conditions were ideal, and soil temperatures had warmed up when he started planting. Barry says a week of good weather should allow him to finish planting. ALVORD, Iowa — Snow and rain kept many Northwest Iowa farmers out of the field this spring, and Ross Mogler is no exception. But, he said May 2, there’s no reason to worry just yet. He hoped to begin planting corn May 2. Mogler says many of his neighbors got a good start the previous week. Mogler says after 18 inches of snow over eight days in late April, he is ready to start planting. RIVERTON, Iowa — With a storm in the forecast, Dave Welchans was hustling April 30 to finish up corn planting. “I did get it finished up, and we’ve had about an inch of rain this week,” he said May 3. Welchans farms in Fremont County in Southwest Iowa. He said soil conditions have been excellent. Welchans estimates most of the corn has been planted in his immediate area. He said sprayers were out May 2. “We only had about a tenth of an inch of rain Tuesday night (May 1),” he said. He admits to being a little behind, but with decent weather in the forecast, the farmer expects to wrap up planting soon. BELMOND, Iowa — It wasn’t long ago that there was snow on the ground here in Wright County. “Who would have thought a couple of weeks ago that we would be this far along with planting already?” said Greg Showalter. Showalter said that cold and snowy weather in March and most of April kept the ground frozen and the tractors in the shed. But the last week of April brought warm temperatures and dry, windy conditions to North Central Iowa. The first few days of May brought rain that was not needed for the corn or beans, but that did help warm the soil and green up the pastures. “We’ve got about half our corn in the ground now,” Showalter said May 3. He said he was lucky last week that only about 1.3 inches of rain fell on his farm. In some areas just north of him, 2 to 3 inches fell. Still, Showalter said he is upbeat. The temperatures are warm and planting is progressing. And he said his cow-calf operation weathered the cold and snow, in part because he now calves inside. “That made a huge difference this year,” he said. 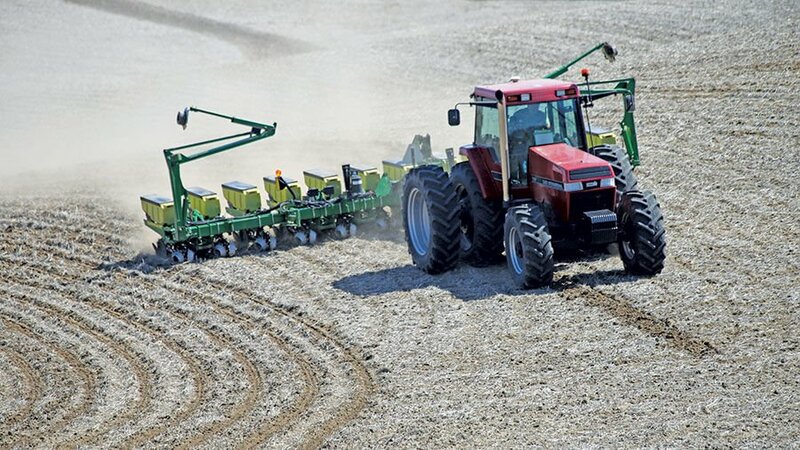 PRAIRIE CITY, Iowa — The planting season already came and went for some farmers in Central Iowa. At the very least, it was progressing well once the weather turned. “I don’t know if we’ve ever put in a crop this fast,” said Kevin Wiggins, who took a break to talk about planting on May 3. Wiggins farms with his brother, Aaron. He also works with his father, Mark, and his uncle, Eric, in this part of Jasper County in Central Iowa. They raise corn and soybeans. They also feed cattle and have a cow-calf operation. As of last week, Wiggins said there was only about 100 acres of corn and 100 acres of soybeans left to plant on their farm. Considering that a couple weeks earlier they hadn’t even pulled into the field, that was surprising. Right now things look good. Most of the fields are planted. The lawns are greening up. And the rain has come at the right time. ALBURNETT, Iowa — Dave Kirk stopped in Alburnett for supplies on his way out to the field April 30. He said so far planting in Linn County has been going well. In spite of the late spring in East Central Iowa, Kirk has not changed his planting plan — 50/50 corn and soybeans. He noted some weed pressure in the fields already. 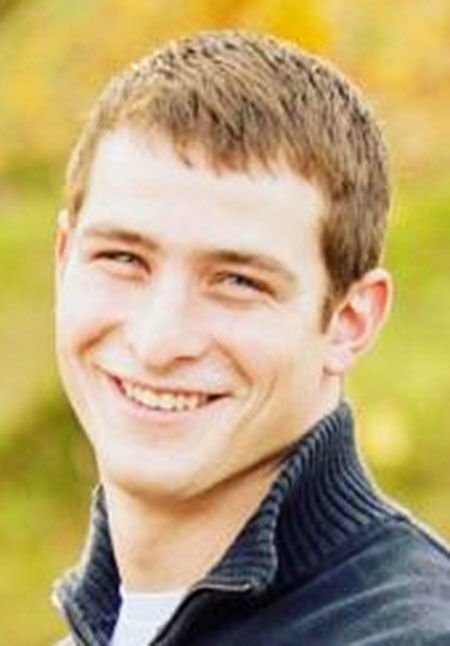 Just down the road, Kyle Betenbender was “going hard at it” in his fields. He noted the ground is dry and still cold, especially in the morning. “But it’s working up nice for me,” he said. He is planting two-thirds corn and one-third soybeans this season. LIBERTY CENTER, Iowa — What a difference a year makes. The spring of 2017 was a wet one in this area of southern Warren County. This year the situation in South Central Iowa is different, and the soil has been dry this spring. That’s why the rains that hit the state during the first days of May were beneficial. The lack of rain before last week wasn’t really causing any problems yet this spring. Eubank said the soil has been working up well and there have been no problems with crusted soil or a parched seedbed. Once the temperatures warmed in the final days of April, Eubank said farmers went to the fields and got virtually the entire corn crop planted. He is done planting corn, although he was waiting for the wind to die down last week so he could get some spraying done. Eubank, who drives a truck for Hy-Vee, farms about 500 acres of corn and soybeans, as well as about 100 acres of hay. AURORA, Iowa — While some are content “working while the sun shines,” farmers know there are still tasks to be done even while the rain falls. Buchanan County farmer Greg Alber took a load of corn to Quaker Oats in Cedar Rapids while he waited for his Northeast Iowa fields to dry off May 1. He estimates before the storms started May 1 he was about 60 percent done with corn and 40 percent through soybean planting — all in about three and a half days of work. Alber plants 50/50 corn and soybeans annually, sticking with the plan that has served him well over the years. But he always leaves room for a little experimentation along the way too. One disappointment coming out of the late spring is that his cereal rye cover crop never really came up. He uses cover in low-lying areas to hold the soil in case of heavy rains. OTTUMWA, Iowa — All the talk of dry conditions in Southeast Iowa is a reality for Don Swanson of Wapello County. Though conditions are not ideal, Swanson is sticking with his 50/50 corn and soybean mix on rotating ground. “I do very little corn on corn, except for a little corn next to the feedlot for my cattle,” he said. After working with no-till several years ago, Swanson moved away from the practice. This is the first season he’s gone back to it, adding a cereal rye cover crop for grazing his cattle. In his district, the USDA reports topsoil moisture at 60 percent short to very short, and subsoil at 79 percent short to very short as of the end of April. Because of the extremely dry conditions, Swanson is planting his soybeans at about 2 inches, well below what he normally does.